"Only Believe!" "I'm a thousand times bigger on the inside than on the outside!" "Fear looks; faith jumps!" These statements were heard by thousands of people who sat under one of the most unusual ministries of this century: the ministry of Smith Wigglesworth. His ministry has survived successfully for more than sixty five years since his death in 1947. It is of importance to state that a minstry to be producing eternal results this far after it natural conclusion means that one lived a life of obedience and spoke words of Life more than opinion and views. Many people described him with the same adjectives, such as "authoritative, bold, compassionate, very challenging," calling him a "man of eternal value" who lived a "life full of faith." The cry of the Spirit that came through Smith Wigglesworth can still be heard today through these sermons. Smith Wigglesworth : The Man Who Walked In The Miraculous And Preached Only by Wigglesworth, Smith was published by Harrison House Publishers in June 2012 and is our 41285th best seller. 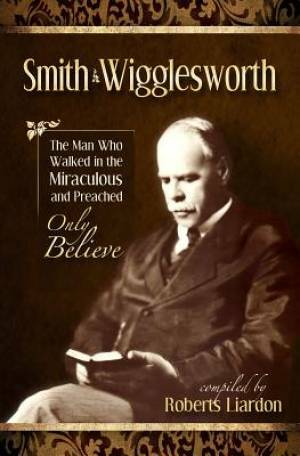 The ISBN for Smith Wigglesworth : The Man Who Walked In The Miraculous And Preached Only is 9781606834268. Be the first to review Smith Wigglesworth : The Man Who Walked In The Miraculous And Preached Only! Got a question? No problem! Just click here to ask us about Smith Wigglesworth : The Man Who Walked In The Miraculous And Preached Only.